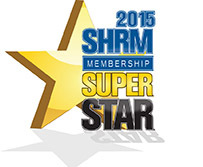 Welcome to the Idaho State Council of SHRM! has awarded our state the 2017 SILVER EXCEL Award. has awarded our state the 2016 GOLD EXCEL Award. has awarded our state the 2015 SILVER EXCEL Award. has awarded our state the 2013 GOLD EXCEL Award. has awarded our state the 2012 PLATINUM EXCEL Award. that the Idaho State Council has attained Membership Superstar status for 2015. We are proud to announce that as a result of our fundraising efforts in 2012, our state council has been designated as a 2012 SHRM Foundation Champion. Our support helps provide opportunities available to our fellow HR professionals.